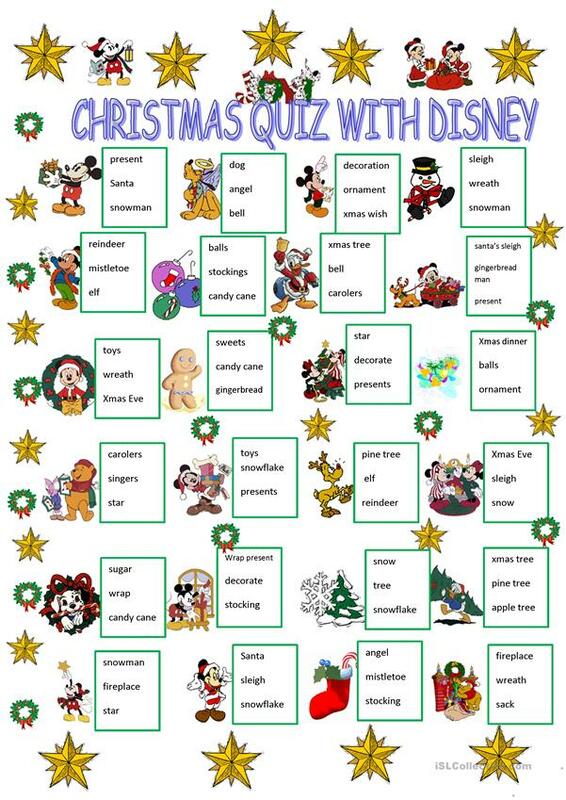 Christmas quiz with Disney Characters. Enjoy it! This downloadable printable is meant for high school students, elementary school students, kindergartners and nursery school students, adults and students with special educational needs, learning difficulties, e.g. dyslexia at Beginner (pre-A1), Elementary (A1), Pre-intermediate (A2), Intermediate (B1), Upper-intermediate (B2) and Advanced (C1) level. It is excellent for honing your groups' Writing skills. It is focused on the theme of Christmas.